Amsterdam, 1650. 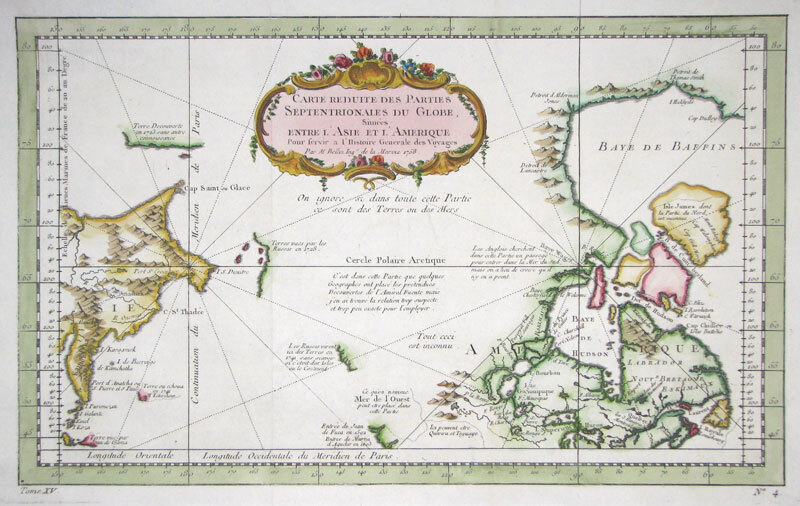 Chart of the Atlantic, published in the 'Orbem Maritimum', described by Koeman as the 'first sea atlas (in the real sense of the word)'. 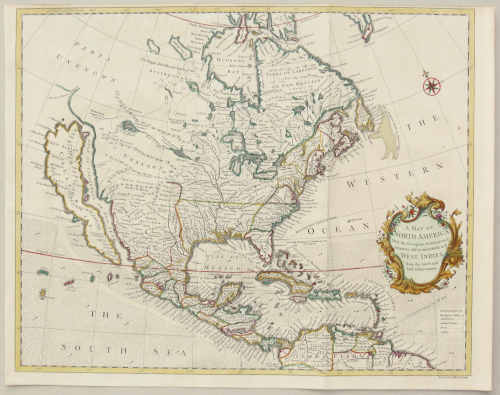 It shows the American coastline from the Davis Strait south to Guyana..
Venice, c.1690. 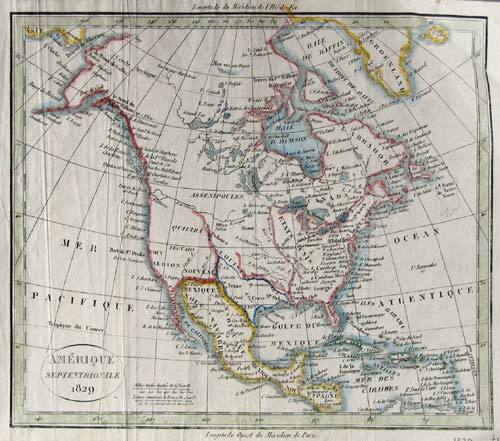 Chart of the North Atlantic with the coasts of North America, by the Official Cartographer of the Republic of Venice. Being patriotic, a script over Labrador ascribes the discovery of America to his compatriot Antonio Zeno rather than Columbus. Amsterdam, c.1720. With a list of the tribes, The north west part of the continent has been left blank. London, c.1735. Map depicting California as an island. Probably from Pat.Gordon's Geographical Grammar and 'a new set of maps by Mr J.Senex' . London, John & Paul Knapton, 1744. 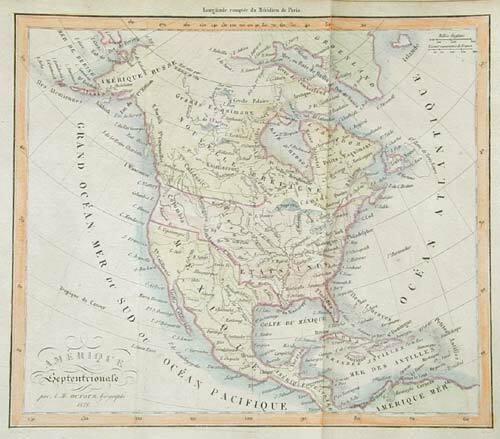 A map of North America, drawn and engraved by Seale for 'Mr. Tindal's Continuation of Mr. Rapin's History of England', with the Indian nations marked. 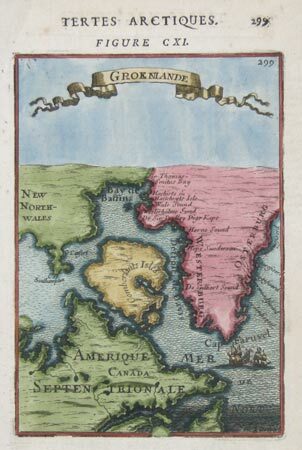 Cartographical mistakes include California is an island, the Straits of Anian, Frobisher's Strait in Greenland and a Lake Nicaragua that opens up into the Caribbean and nearly reaches the Pacific. London, 1788. 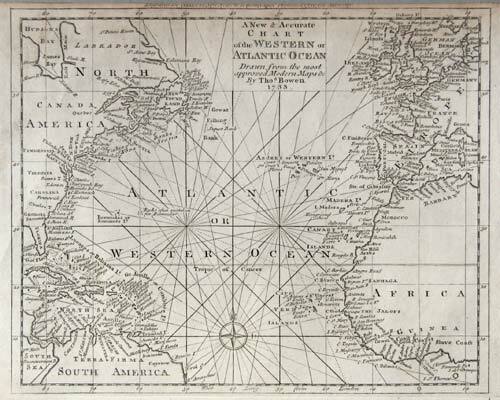 Chart of the North Atlantic showing the routes from Europe to Africa and across the Atlantic to the West Indies and the plantations of America. London, 1795. 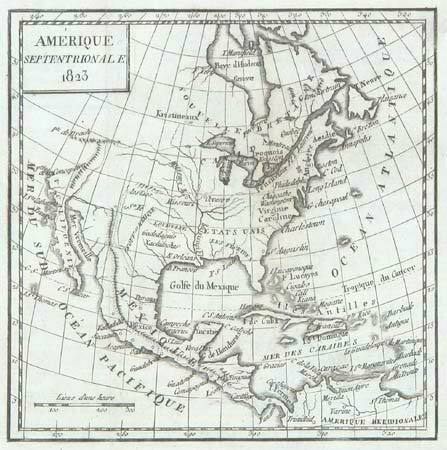 North America, marking Captain Cook's discoveries in the north Pacific. Bungay (Suffolk), C.Brightly & E.Kinnersley, 1806. From Barclay's 'Dictionary of North America'. France, 1823. 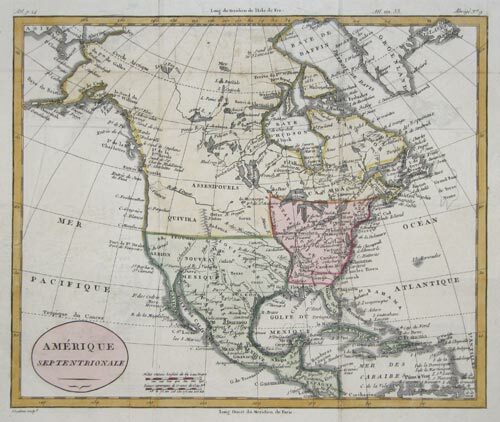 Despite the date the geography of this map of North America appears to date from the 1780s. Paris, 1846. Texas is named separately on the map but has been coloured as part of the United States. Paris, c.1846. 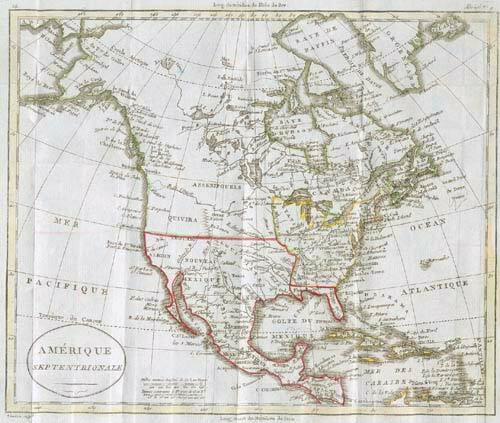 North America, with Texas depicted as a republic. A population table lists Texas separately, with a population of 200,000 (against 19 million in the US). 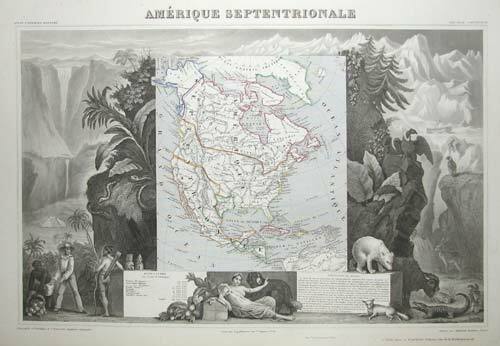 The map is surrounded by a highly decorative engraved border, depicting animals, figures and scenes from throughout America, inxluding a steam train, a ship stranded in ice and a bison. Paris, c.1683. Greenland with Labrador and Baffin's Island. Paris, 1758. Arctic America and the north Pacific. 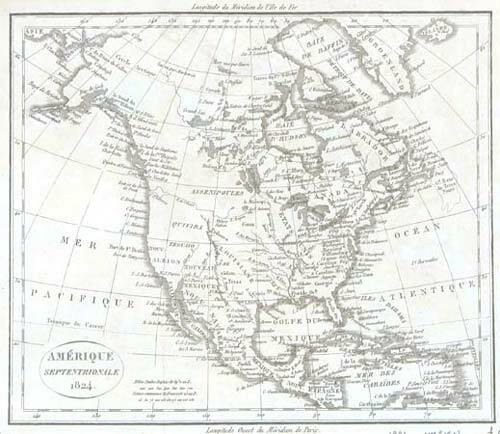 Unlike many contemporary cartographers, Bellin has admitted having only a limited knowledge, leaving blanks and marking mid-Canada as 'All Here is Unknown'.